Clients from the construction management field often looks for better ways to understand projects status from a high level; this client was no exception. They required a single dashboard that would help them evaluate key metrics like hard and soft project costs, budget, and a project milestone schedule. We brought the key metrics together and built a dashboard that displayed them in meaningful ways. 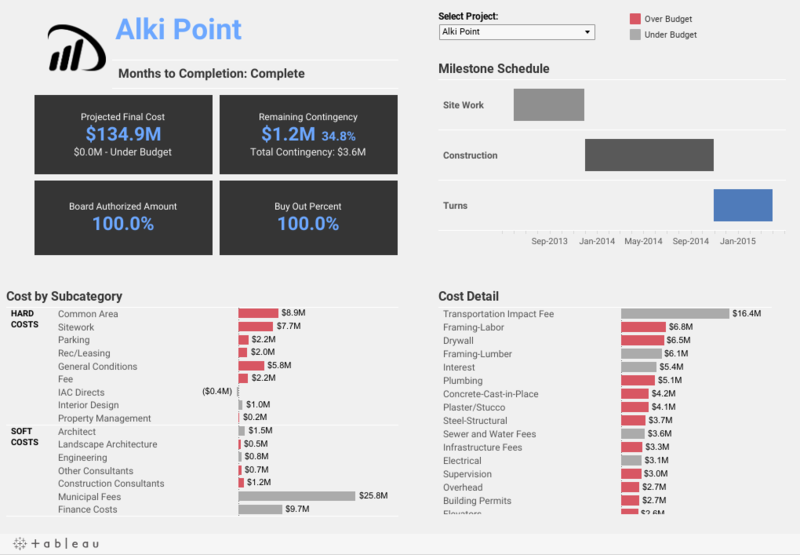 In a single dashboard, we highlighted their most important financial metrics, developed a visualization to increase timeline, and incorporated a more granular financial visualization that evaluates actuals to budget.